Shipowners experienced a marginal increase in marine insurance costs last year, marking the end of a six-year run of declining premiums, according to Drewry’s Ship Operating Costs Annual Review & Forecast, as asset values recovered and the insurance market showed signs of turning. Changing market sentiment and rising claims in related sectors is driving costs up, leading many to wonder why the insurance market is turning, how high costs might rise and for how long? We are at the very bottom of the cycle which began falling in 2013. Over the past four years Protection & Indemnity insurance (P&I) has declined in price by 30- 40% and the Hull and Machinery market (H&M) far more and for longer, as evidenced by continued negative returns. 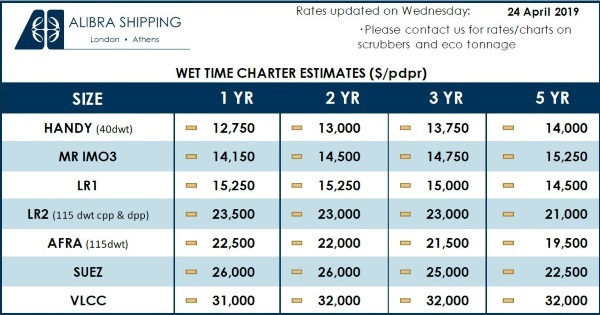 But as repeatedly forecast by Drewry, all this is set to change with important implications for shipowners’ vessel operating costs, of which insurance makes up as much as 10%. The latest round of annual of P&I premium renewals indicates that the Clubs enjoy a degree of solvency which has prevented all but one of them from asking for a general increase in rates (see Figure 1 below). Generally shipowners with high claims records have seen their premiums rise while the rest have enjoyed “as is” renewals. There has been very little churn between the Clubs, with few eye-catching moves by large fleets, and targeted rate rises. Another feature of the renewal period has been for the Clubs to enjoy some organic growth, with the result that the stronger half of this two-tiered industry has been reporting as much as 5% growth in both income and tonnage. However, Drewry does not expect such benign conditions to remain for long. Clubs’ free reserves are expected to erode over the next two years which will lead to rate rises and general increases. So far the pressures on P&I insurance are most evident in the fixed premium market where consolidation and saturation is driving Clubs to acquire more of this fixed premium business. We expect this trend will persist for at least the next two years. A foretaste of what may hit P&I insurance is already playing out in the H&M market, where 75% of fixed marine insurance expenditure is made. Here the signs of market change are most evident as insurers react to large losses by marine market reinsurers as a result of natural disasters, yacht and yard losses, as well as the general inability of marine insurance players to maintain sufficient funds to pay for attritional losses and large headline grabbing claims. The loss of overall attractiveness of the sector with its long recent history of loss making has resulted in some disillusion. There has been retrenchment and outright closure, especially in the Lloyd’s market where some well-known insurers have largely left the sector, often following guidance discussions with the market competition officials of the Corporation. The latest of these, the decision to place the Skuld marine syndicate into run off, follows years of upbeat promotion by these well-known Scandinavian underwriters. As a result there is a marked change in reinsurers’ appetite for the marine H&M market in 2019. Previously they were enticed by attractive solvency rules that allow the underwriting of mobile property, such as ships, without the need to match claims reserve funds as required for other property types. 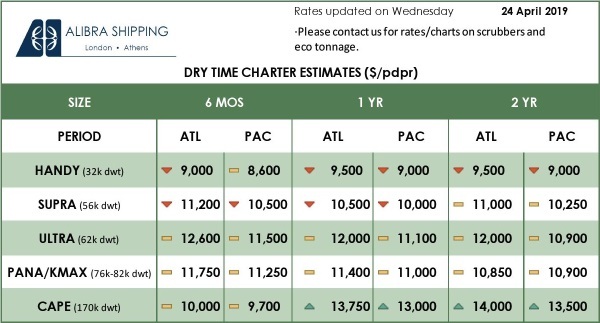 Drewry expects rate increases for this year and the tightening of terms and deductibles to go on for at least two more years, before a general softening begins to set in. H&M premiums are expected to rise by up to 10% year-on-year for acceptable business and perhaps as much as 20% for bad record shipowners over the next few years. Similarly, inflationary pressures in the reinsurance market will force P&I Clubs to raise fees for cover in subsequent years, by as much as double digit percentage increases in some instances. Vessel operating cost inflation is set to accelerate on higher marine insurance premiums, particularly for those owners with poor claims records.